The organizing and reshuffling of things that live in the garage continue. This time a little asthetical surgery on the garage. 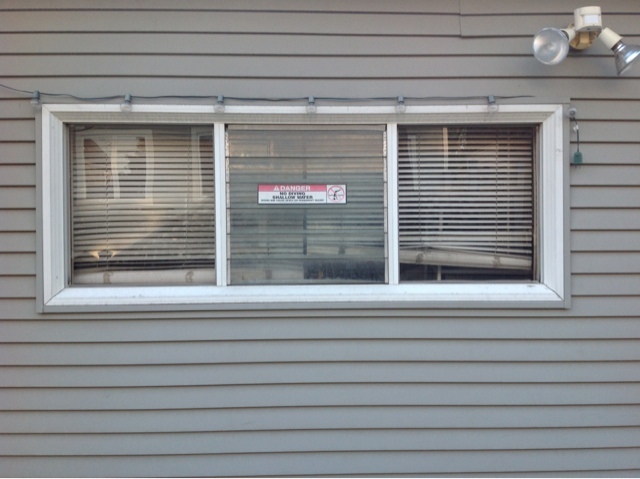 The blinds the owner left behind were covered in layers of dirt and dust. I didn't want to bother hosing them down. I figured I'd just find some replacements at a thrift store. 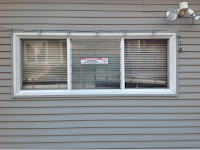 Then it occured to me, while sitting on my deck enjoying an adult beverage and staring at these ugly blinds, that I could put a picture or two (or even three I suppose) in that space and point them back out to the outside. 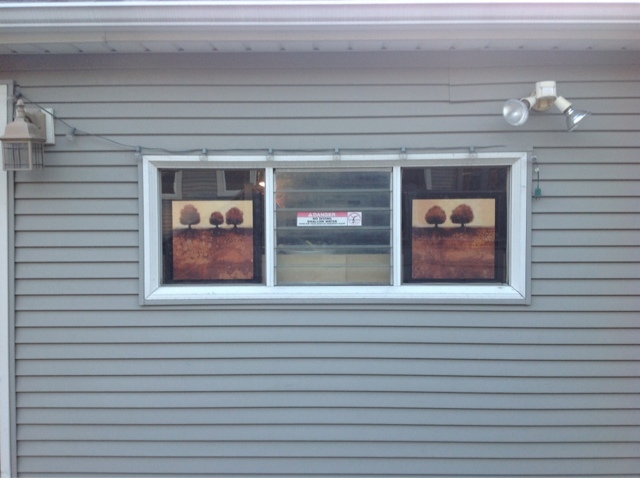 Lo and behold, the Goodwill near my office had a couple of matching pieces of wall art that I thought were nice enough for a garage window. Alas, Nightingale feels these may be too nice for a garage and despite my claim that the frames are a bit beat up, these may end up in the house and I'll be back to the drawing board. At the same Goodwill, I came across this item pictured below. My city saavy told me this was a duck but Nightingale informed me it was a goose. 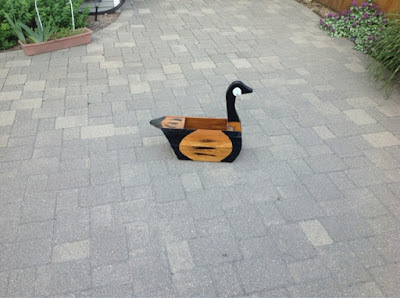 Either way, it will go on our front lawn in the spot that often pools during heavy rain making an impromptu pond. 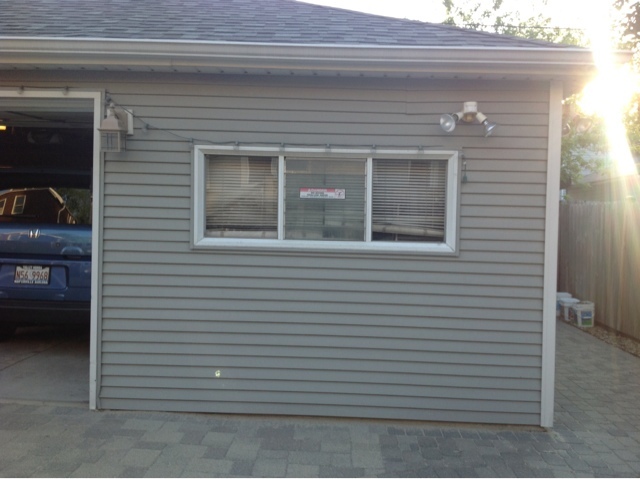 Is that peg board paneling on one of your garage walls? Herman must be having quite a swim today! Or at least he would be in my backyard, which is flooded! 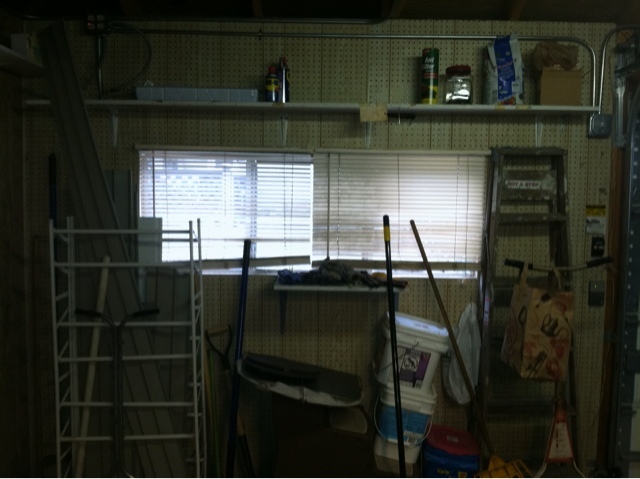 Yes there is peg board on approximately 50% of my garage walls. The rest of the wallspace has insulation and plastic. Why the previous owner didn't finish the walls is beyond me.